No One Expects Baba Yaga! Just when you think you are safe from the wise crone, Baba Yaga takes to the streets! Believe fairy tales aren't true? Think again, she's watching and waiting for you. 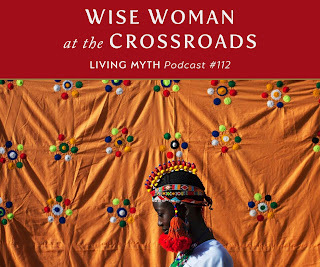 Michael Meade's "Wise Woman at the Crossroads"
Michael Meade's podcast "Wise Woman at the Cross Roads" (Living Myth Podcast #112) discusses the role of the wise old woman in story and her archetypal wisdom in life. 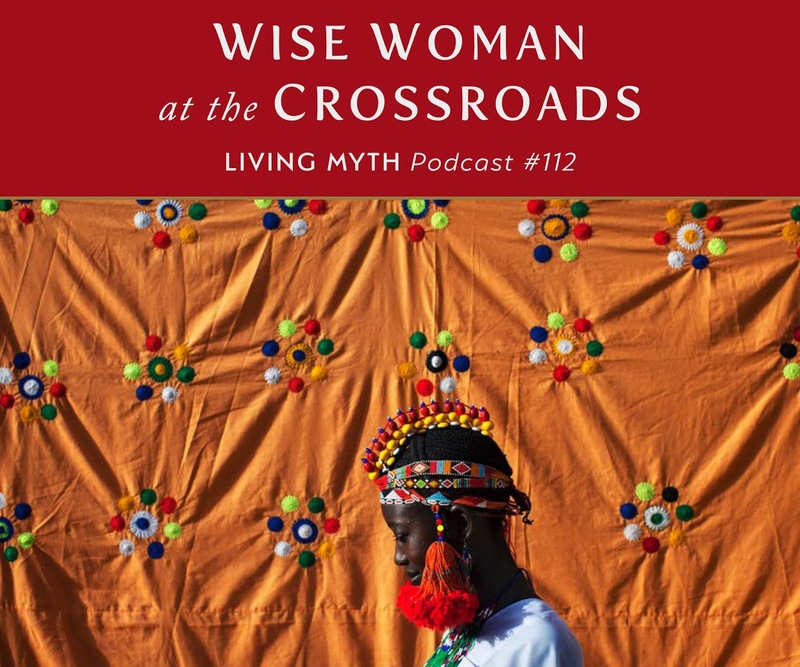 "In what turns out to be a treatise on the Wise Old Woman of the World and the importance of the feminine mysteries of life, Michael Meade tells an old wisdom tale from Africa. The story offers a pertinent reminder that we all wander on the road of life and death, and that each crossroad in life is an opportunity to awaken further to the deep gifts and precise mission of our souls. The old story reveals that the Holy Spirit was once considered the bird of Sophia, the feminine source of wisdom. 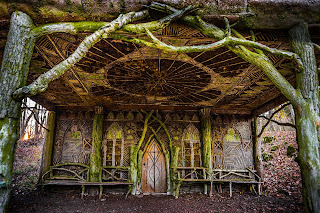 The Wise Old Woman turns out to be the sage in the heart, the immediate spirit of awakening and an instinctive connection to the enduring song of life."